Life is difficult in the tundra, the coldest type of climate on Earth. Brief summers, long winters, brutal winds, little precipitation and bone-chilling temperatures limit the plants and animals that can survive in the tundra, but those that do are ingeniously adapted to the harsh conditions. Each tundra form—Arctic, Antarctic and Alpine—is a unique ecosystem composed of biotic and abiotic factors, eking out existence in places few humans could endure. Location defines the three types of tundra. Arctic tundra is found in the Northern Hemisphere across Alaska, northern Canada, Greenland, Scandinavia and Siberia. Antarctic tundra is confined to the Antarctic peninsula, the large finger of land jutting from Antarctica toward Chile, which features the continent’s mildest climate. Alpine tundra is seen in mountain ranges above 11,000–11,500 feet; peaks in North America’s Rocky Mountains, the Alps in Europe and the Andes in South America are a few examples of Alpine tundra. The tundra, like all ecosystems, features biotic and abiotic factors in a complex web of existence. Biotic factors, or elements that are living, include fungi, mosses, shrubs, insects, fish, birds and mammals. 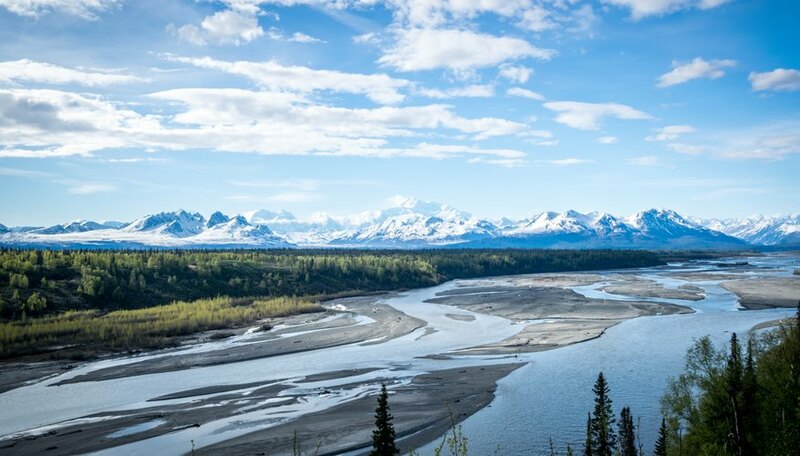 Abiotic factors, or nonliving parts of the system, include temperature, wind, rain, snow, sunlight, soil, rocks and permafrost. The biotic factors depend on the abiotic factors and each other for survival. Changes in the abiotic factors can drastically affect the health of the living organisms. Permafrost is the most significant abiotic factor in the Arctic tundra. In the summer, the top layer of this permanent underground ice sheet melts, creating streams and rivers that nourish biotic factors such as salmon and Arctic char. The permafrost prevents larger plants and trees from gaining a foothold, so lichens, mosses, sedges and willow shrubs grow close to the ground. These plants in turn provide cover for nesting snow geese, red-necked loons and ptarmigan, as well as food for Dall sheep, caribou and musk oxen. The top Arctic predators, wolves and brown bears, prey on these herbivores. Alpine tundra lacks permafrost—strong winds, thin air and scarce precipitation are the primary abiotic factors that affect life here. Lichens, moss-like cushion plants, grasses, willow shrubs and wildflowers with long taproots for finding nutrients in poor soil characterize the landscape above the treeline. Species of mouse, weasel and rabbit burrow among rocks and roots. Herbivores such as elk and bighorn sheep in North America, chamois in the Alps and alpacas in the Andes have adapted to the limited diet of grass and woody plants. 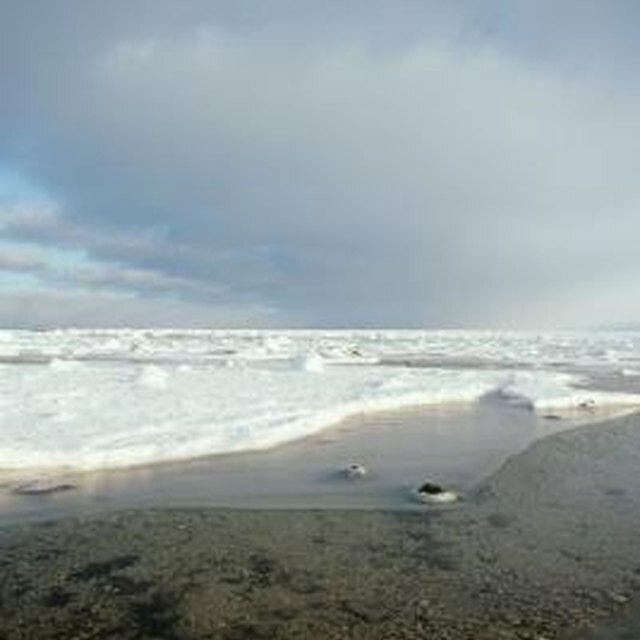 The Antarctic tundra, a variation of the Arctic tundra, features similar abiotic factors as the Arctic tundra yet supports far fewer biotic factors. As Antarctica’s only region without permanent ice cover, the Antarctic peninsula reveals an arid, rocky landscape in its short summer that is capable of nurturing only two species of flowering plants: Antarctic hair grass and Antarctic pearlwort. Lichens, mosses and algae form the bulk of the flora. Although Antarctica has no native land animals, marine animals such as penguins, seals and seabirds form gigantic, seasonal colonies on the coastal tundra. Long, Kat. "Biotic & Abiotic Factors in the Tundra." Sciencing, https://sciencing.com/biotic-abiotic-factors-in-the-tundra-12083312.html. 25 June 2018.